Yes, a hospital superbug may be growing more tolerant to alcohol exposure -- but alcohol-based hand rubs still save millions of lives a year. (Inside Science) -- Rumors of hand sanitizer's demise are greatly exaggerated. Last week, headlines warned of an antibiotic-resistant superbug with the power to survive alcohol, perhaps prompting some people to eye their hand sanitizers with new skepticism. But when it comes to preventing infection, alcohol-based hand rubs are still your best friend, according to the scientists who discovered the alcohol-tolerant bacteria and other experts. Even the superbug in question, vancomycin-resistant Enterococcus faecium, will die if you use hand sanitizer correctly. "The paper by itself is extremely well done," said Didier Pittet, an epidemiologist at the University of Geneva Hospitals and Clinics in Switzerland, who has led the World Health Organization's hand hygiene initiative since 2005. But, he said, its only clinical relevance is to reinforce what experts have been saying all along -- make sure you use enough alcohol for long enough to kill all the germs. 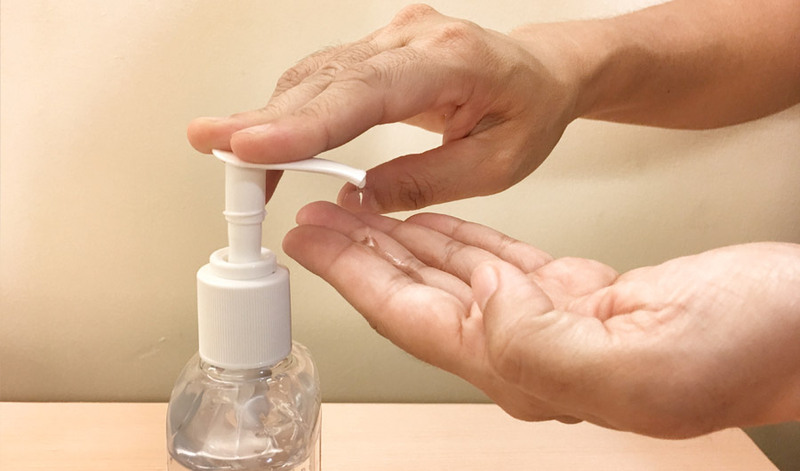 Pittet credits the World Health Organization's hand hygiene initiative with saving 5 to 8 million lives per year, and the backbone of that initiative is the use of hand sanitizers containing 60 to 80 percent alcohol. Such products work well for both for the general public and health care professionals, he said. Their use in hospitals over the past two decades is thought to be largely responsible for declining infection rates in many health care settings, including rates of infections with the dreaded Methicillin-resistant Staphylococcus aureus (MRSA). But while in general people have been catching fewer infections in hospitals, health care-associated infections remain a major cause of health care complications, poor outcomes and death. The bacterium known as E. faecium has emerged over the past few decades as a serious threat, with antibiotic-resistant strains appearing in hospitals around the world. E. faecium usually lives harmlessly in the human gut, but when people have compromised immune systems or undergo surgical procedures that allow the infection to spread, E. faecium can run rampant in the bloodstream or in tissues such as the urinary tract. In the new study, the researchers examined how E. faecium had been evolving in two Australian hospitals, comparing E. faecium cultures collected recently to ones that had been frozen for up to 19 years. They grew the strains in a nutrient broth, then added enough alcohol to make up 23 percent of the solution -- far less than is typically used in hand sanitizers. About tenfold more of the modern bacterial cells survived the treatment. The researchers also found telltale signs of evolution for alcohol tolerance in the bacteria's DNA. "The bacteria are becoming more tolerant to alcohols. That's the most striking finding," said Tim Stinear, a molecular biologist at the University of Melbourne in Australia and senior author of the study. To find out whether this alcohol tolerance might make a real difference in a hospital, the researchers conducted a second experiment with mice. First, they gave the mice antibiotics, disrupting their gut flora and making them more vulnerable to new kinds of bacteria -- a scenario that often plays out in human patients. Next, they contaminated cage floors with various strains of E. faecium, then wiped the floors with a solution of 70 percent alcohol. Finally, they placed the mice in the treated cages for an hour. A week later, all of the mice that had been exposed to modern, alcohol-tolerant strains of E. faecium had those strains living in their guts. In contrast, mice placed in cages treated with older strains were colonized just 60 percent of the time. The findings were published last week in the journal Science Translational Medicine. People have long worried about bacteria growing resistant to antibiotics, but less attention has been paid to antiseptics like alcohol, said Stinear. That's because antibiotics generally work through narrow, targeted mechanisms that are relatively easy to overcome, while antiseptics' mechanisms are broad and blunt. Alcohol, for example, kills by disrupting protein structure and damaging cell membranes, and bacteria need many mutations to survive it. But E. faecium seems to be steadily acquiring those mutations, with multiple strains independently evolving greater alcohol tolerance. "Anywhere where we're doing the same things over and over again -- so if it's cleaning regimens, where we're using the same products for the same time on the same surfaces in the same people -- then we're giving bacteria a chance to mutate and adapt. And the fitter ones will survive and thrive," said Stinear. "The bacteria are just going to keep changing, and we have to stay a step ahead." In the case of E. faecium, staying a step ahead might mean combining alcohol-based hand rubs with other strategies, such as isolating patients who have antibiotic-resistant infections and using different disinfectants to clean floors and other surfaces, said Stinear. Indeed, the U.S. Centers for Disease Control and Prevention doesn't recommend alcohol to clean surfaces other than hands, because it doesn't work well when the alcohol is soaked up by dirt, said Clifford McDonald, associate director for science in the CDC's Division of Healthcare Quality Promotion in Atlanta, Georgia, who was not involved in the research. The study also emphasizes the importance of going all-in with hand rubs. If you use alcohol improperly and only kill some of the bacteria, you could indeed breed for tolerance, said Pittet, though he thinks that's less of a risk with hands than with other surfaces. Pittet also expressed caution about gel and foam formulations, which are thought to be less effective than liquids. But if you fill your palm with the right stuff and rub it all over for at least 15 seconds, almost nothing will survive, he said. That's why Pittet has been dismayed by some news coverage of the study, which he fears will scare people away from hand sanitizers. That's the last thing the authors would want, said Stinear. The CDC's McDonald echoed the sentiment. According to McDonald, some health care workers have to clean their hands around 80 to 100 times a shift, far more than anyone could wash with soap and water. "Alcohol-based hand rub really makes that possible," said McDonald. "It is saving people's lives."